The album cover photograph was taken outside furriers "K. West" at 23 Heddon Street, London. The post office in the background was the site of London's first nightclub, The Cave of the Golden Calf, which opened in 1912. In 2010 the cover was among 'the ten chosen' by the Royal Mail for a set of 'Classic Album Cover' postage stamps. The rear cover of the original vinyl album bore the instruction: 'TO BE PLAYED AT MAXIMUM VOLUME.' The instruction was omitted, however, from the 1999 re-release. David Robert Jones (8 January 1947 – 10 January 2016), known professionally as David Bowie, was an English singer, songwriter, multi-instrumentalist, record producer, arranger, painter and actor. 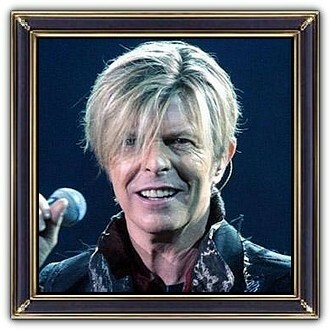 Bowie was known as an innovator, particularly for his work in the 1970s. His androgynous appearance was an iconic element of his image, principally in the 1970s and 1980s. 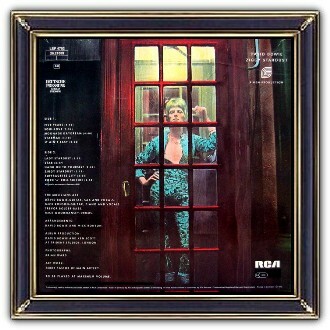 Bowie's first hit song, Space Oddity, reached the top five of the UK Singles Chart after its release in July 1969. 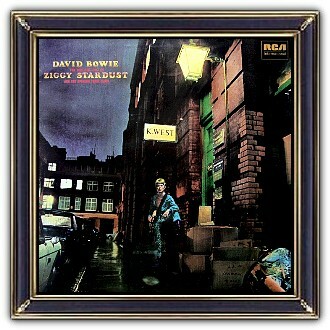 He re-emerged in 1972 during the glam rock era with the flamboyant, androgynous alter ego Ziggy Stardust.